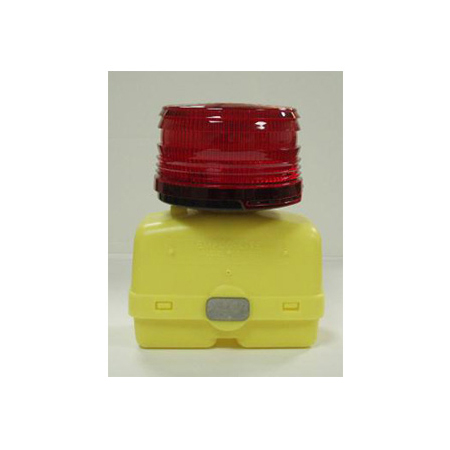 Barricade Lights and other Lighting Products - RoadSafe Traffic Systems, Inc.
Model 212-3LW is a 3-volt system that can operate on two to four D-Cell batteries. It will project an adequate signal for over 60 days on two D-Cell Alkaline Batteries and over 120 days with four D-Cell Alkaline Batteries. May be considered a lightweight light meeting NCHRP 350 when using one battery. Lights have also been tested on various devices. A red 360 degree light used specifically for airport applications. Designed to easily deploy and create a unique intelligent wireless sequential operation of lights in forming a clear directional path for traffic during lane closures. 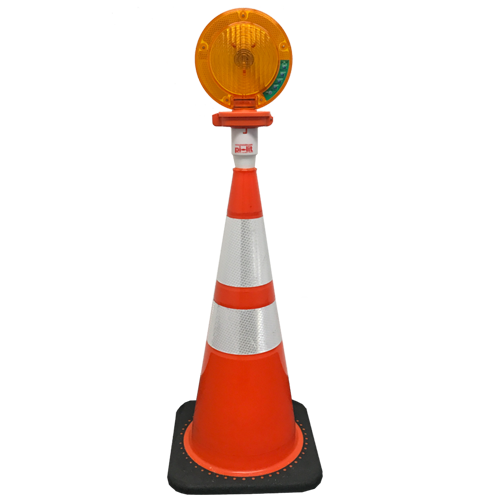 The “SunFlower” Sequential Cone-Top Lamp takes the traditional 7″ Type A/C warning lamp and deploys it atop any standard traffic cone. Mounted on top of a cone, the “SunFlower” is one of the most visible cone-top lamps on the market, adding 9 inches of height to the point of light output. 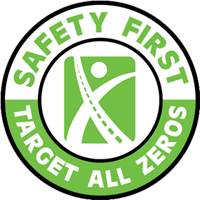 Now add the easy to use sequential technology and the “SunFlower” offers enhanced safety for personnel on the road. 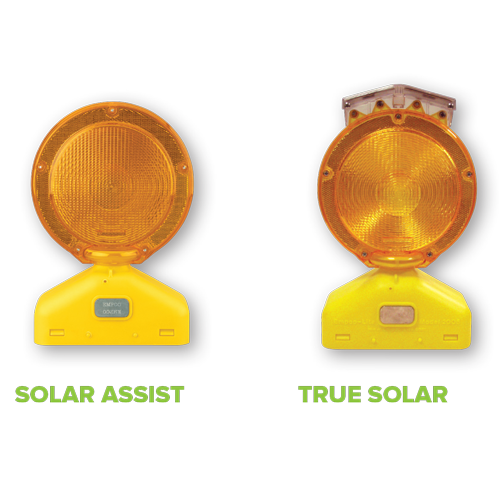 Bringing the same patented technology used in the 4xD-cell alkaline barricade lamp to a much lighter weight AA-alkaline battery sequential, the SunFlower is designed for short-duration deployments atop any standard traffic cone. A light-weight alternative to an I.T.E. and MUTCD compliant sequential warning lamp. Perfect for temporary lane closures, checkpoints, sporting events, city events, etc. Visible at 920 meters (3000 feet) on a clear night. RoadSafe represents leading manufacturers of truck mounted lights with both light bars and rotating beacons. In general, any work vehicle operating in the work zone, including those used for traffic control operations, for materials delivery, and by subcontractors must be identified as a work vehicle to minimize driver confusion. This is why warning lights are used on each vehicle. The MUTCD requires the use of vehicle warning lights, as do most state and local agencies. 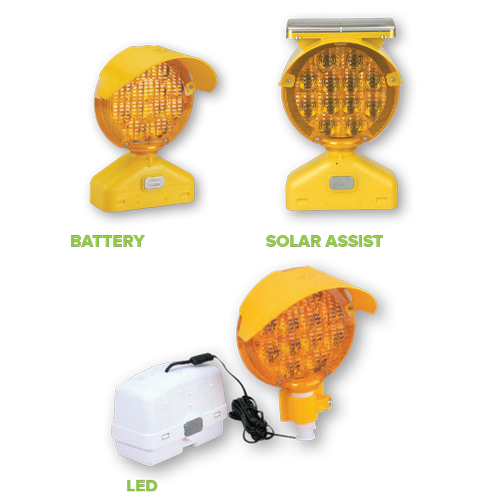 RoadSafe represents leading manufacturers with a variety of temporary portable lighting products used for nighttime work in work zones. It’s important to note that any lighting scheme provided for nighttime work zones needs to meet all standards found in the MUTCD, including guidelines related to personal protective equipment, signing, barricades, or other traffic control measures. When placed properly, the presence of portable lighting reduces motorist speeds approaching and while navigating the work zone thereby increasing safety for both workers and motorists. 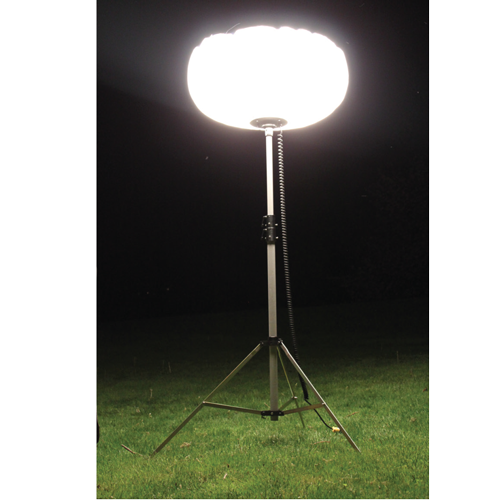 All portable lighting systems, either our portable light towers or balloon lighting, are quick and easy to set up. 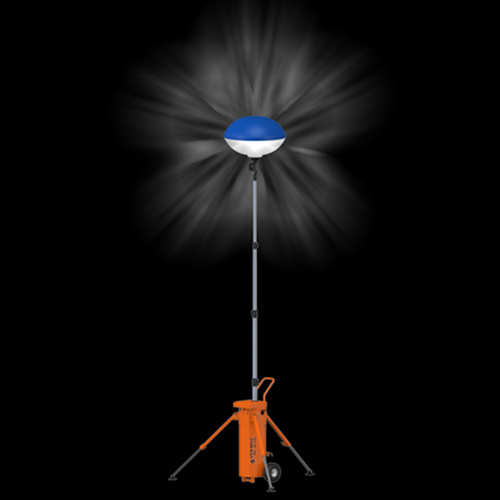 Ver-Mac’s PSLT-6000 is a compact and powerful portable solar light tower. 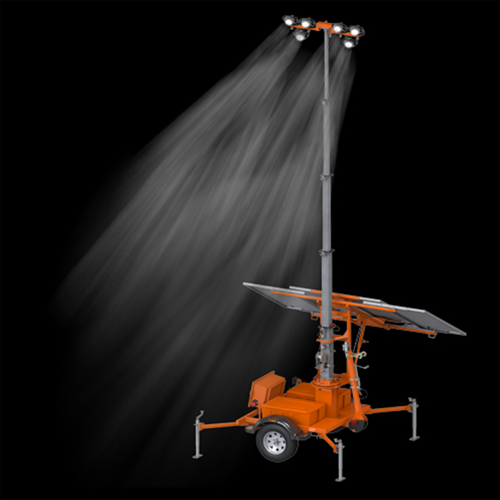 It is visually as bright, effective and compact as conventional diesel light towers, without costing thousands of dollars every year in fuel and labor. The PSLT-6000 features Ver-Mac’s exclusive Nightbrite technology, which provides a brighter, more environmentally friendly and cost-effective lighting system. The PSLT-6000’s compact design and lighting efficiency makes it ideal for lighting construction work zone, parking lot, special events, emergency response and oil and mining applications. Nightbrite technology – Innovative proprietary LED fixture design provides 40% increased brightness using the same power consumption, compared to other solar light tower systems. Clear and Bright LED lamps – Long-lasting and durable LED lamps provide targeted lighting with minimal light pollution and reduced glare. Intelligent controller – Schedule and control the brightness and length of your lighting event. Ver-Mac’s easy-to-use selector switch provides multiple brightness and timing settings. Power platform – Robust power platform combined with energy-efficient Nightbrite technology provides year-round autonomy in most applications. No recharging required! Foldable & lockable tongue – Reducing operation & storage footprint for limited space areas and protecting the trailer from being towed by unauthorized people. Ver-Mac’s PSLT-4000S is a compact and powerful portable solar light tower that is cost-effective and has a great return on investment. 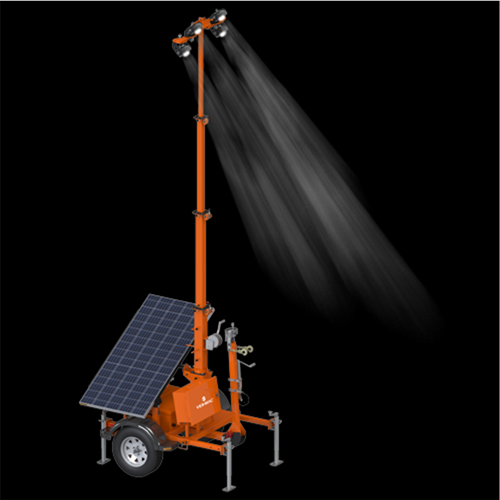 It is visually as bright, effective and compact as conventional diesel light towers, without costing thousands of dollars every year in fuel and labor. The PSLT-4000S features 4 LED lamps with Ver-Mac’s exclusive Nightbrite technology, which provides a brighter and more environmentally-friendly lighting system. The PSLT-4000S is ideal for lighting construction work zones, parking lots, special events, emergency response and oil and mining applications. Nightbrite technology – Innovative exlusive LED fixture design provides 40% increased brightness using the same power consumption, compared to other solar light tower systems. Clear and Bright LED lamps – Long lasting and durable LED lamps provide targeted lighting with minimal light pollution and reduced glare.. Compact Design – The innovative solar panel and trailer design make the PSLT-4000S easy to transport and set up without taking up valuable space..
Power platform – Robust power platform combined with energy-efficient Nightbrite technology makes it autonomous for weeks in most applications! Low cost of ownership – Eliminate fuel, fuel labor, engine maintenance and sodium light replacement costs and save thousands of dollars per year. Multi-Orientation Solar Panels – Solar panel tilts to various positions to maximize the performance, without having to move the trailer around. Ver-Mac’s PPL-1000 is a compact, battery-powered portable presence light. Presence lighting allows the motoring public to visually see from a distance an upcoming nighttime lane closure. The system is quick and easy to set up and does not require a diesel generator to power. Equipped with high-performance lithium batteries and a fast-charging system, the PPL-1000 will perform night after night. The presence of lighting reduces motorist speeds approaching and through the work zone, increasing safety for motorists and workers. Compact Design -Tripod legs quickly fold for easy setup and storage. Telescoping mast quickly raises to several heights up to 14’ and stores neatly in the storage box. Easily roll or carry the PPL-1000 to the desired project location and turn it on. Eliminate Generator – Reduce deployment labor up to 50% compared to traditional balloon lights and eliminate fuel and maintenance costs. Photocell – Allows the unit to be deployed before dark and the unit will automatically turn on at dusk and off at dawn, reducing set up time and labor. High-Performance Batteries – Maintenance free high-powered LifeP04 lithium batteries provide long-lasting power with a high cycle life. They are non-toxic, noncontaminating and contain no rare earth metals, making them environmentally friendly. Charging System– Intelligent LiFePO4 600 watt fast-charging system charges the batteries in less than 3 hours. Simply plug into an outlet or generator and the LED indicator light will tell you when it is charged. Balloon Canopy – The balloon canopy provides a softer, non-glare lighting solution. 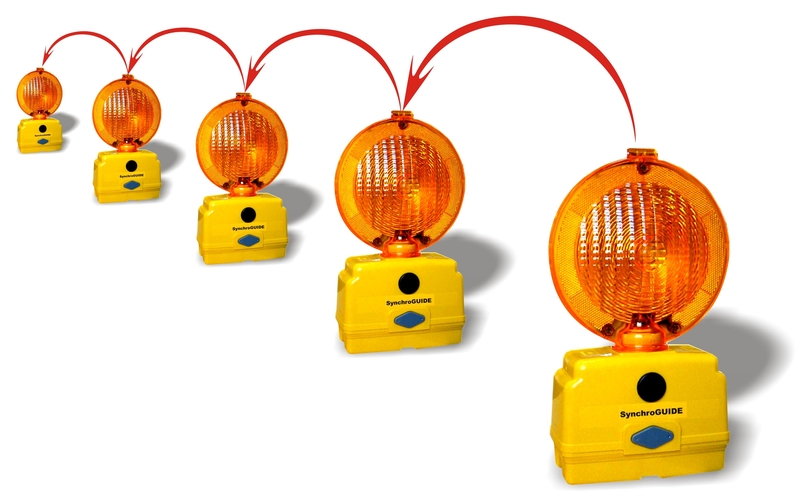 The balloon light comes with a light cap to maximize the light emitted from the sides. Lockable mast – Secure your unit by adding a padlock. Heavy-Duty Storage Bag – Protects the balloon canopy when stored. Environmentally-Friendly – No fuel emissions, bad smell, and engine noise to harm the environment. 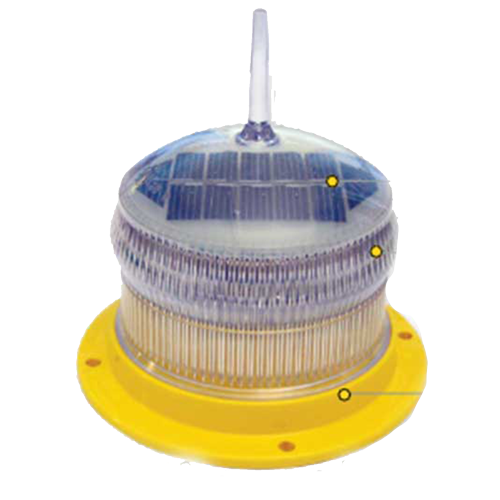 The Sealite SL15 solar marine light features a one nautical mile visible range.